‘Clayton Hotels’, Galway has offered preferential rates for all delegates attending touRRoir18. Rates include complimentary car parking and shuttle bus transfer for Residents Only to and from the conference venue on Monday & Tuesday. TO BOOK – All delegates must contact the Hotel’s Reservation team to avail of the discounted rate. Shuttle bus transfer to and from the conference venue / Clayton Hotel, Galway on Monday & Tuesday is provided by Galway Tour Company. Galway Tour Company has an offering of Day & Night tours of popular destinations and lesser taken routes including the Cliffs of Moher, the Aran Islands, Connemara & Clonmacnoise Monastic City. Everyone entering Ireland must have a valid passport, or in the case of European Union Member States, a national identity card. Visas are required for some countries. Delegates should check with their local Irish representation prior to their departure. You will need to register for the forum, pay your registration and accommodation fees in full before a letter from the touRRoir hosts will be issued to support your visa application. Consular offices will only accept a visa letter if it states that the delegate has registered for the conference and paid their registration fee and accommodation rates in full. The Consular offices will only accept original letters so please allow time for us to post the visa letter to you. 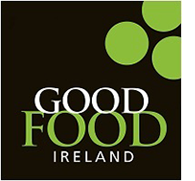 The conference host Good Food Ireland cannot accept any responsibility for visa applications. Where a delegate is unable to attend because of failure to obtain a visa on time, the normal cancellation policy for registration fees and accommodation will apply. People from certain countries need a Visa to enter Ireland. To find out more detailed information on visa requirements please click on www.dfa.ie – Department of Foreign Affairs. A valid driving licence is required to drive in Ireland. touRRoir is taking place in the National University of Ireland Galway located in Ireland’s most westerly city of Galway. A tertiary-level teaching and research institution, it is ranked among the top 1% of universities in the world. Founded in 1845, the National University of Ireland (NUI) Galway, has been inspiring students for 170 years. NUI Galway has earned international recognition as a research-led university with a commitment to top quality teaching. The World renowned Shannon College of Hotel Management is part of the College of Business, Public Policy and Law in NUI Galway. This integration was formally marked in 2015. NUI Galway is located in Galway city on the West Coast of Ireland. There is limited parking for visitors on the main campus, Monday to Friday from 8:30 to 17.30 and we usually advise to take a taxi to the venue if possible. No restrictions are in place at weekends. Download and print a copy of the Tourroir Parking Permit here and place on your car. This permit is for the P&R car park on campus on Monday and Tuesday where a shuttle operates to the main campus (please allow time for transfer to main campus in travel plans). Please click here for the shuttle timetable to the main campus (please take shuttle to last stop, Orbsen Building) located beside Bailey Allen Hall. Entrance to the P&R car park is via Corrib Village Entrance, Upper Newcastle Road, Galway. Visitors must ensure to park in white lined spaces only and display permits at all times or your car will be clamped. a) Limited pay and display spaces (marked with blue line) in campus car parks. b) Cathedral Car Park is approximately 3 minutes’ walk, charges apply, cost is approximately €4 per day. Situated near the bustling city of Galway, the university is easily accessible by car and public transport.